Everyone has heard of the T-Rex, Stegosaurus and Triceratops, but have you heard of a Muttaburrasaurus? What about a Rhoetosaurus? 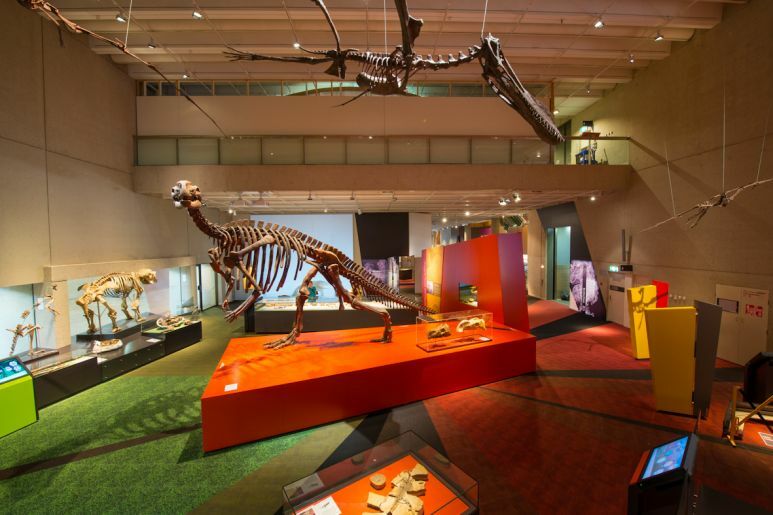 These are just two of a large range of dinosaurs, megafauna and fossils on display at Queensland Museum’s latest exhibition, Lost Creatures: Stories from Ancient Queensland, and the best part is, they are ALL exclusively Australian. 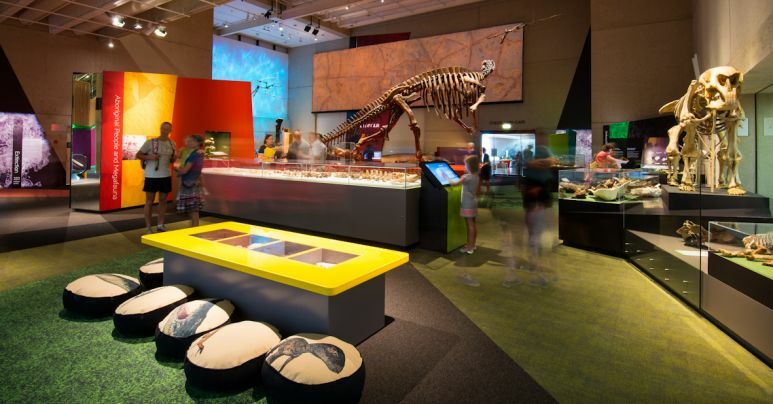 The Lost Creatures exhibition is a collection of Australian fossils found across Queensland from places such as Lark Quarry, Longreach, Roma and Richmond. The specimens that were sent in and collected by researchers here at the Queensland Museum ranges from Australia’s massive mega fauna, to our own selection of Sauropod, Theropod and Ornithopod dinosaurs. The display cases show off skulls of Diprotodon – the world’s largest marsupial weighing 2.5 tonnes, giant kangaroos, the three largest land lizards and a whole section devoted to ancient Crabs, Ammonite, Starfish and Bivalves. If you dare to cast your eyes upwards you will see a large block of stone, once mud, which is riddled with Dinosaur footprints, stamped from Lark Quarry, and watch in awe as ghostly silhouettes run across the rock. Lost Creatures is an experience not to be missed. With touch screen computers bursting with information and friendly staff willing to explain and educate, you are assured to come away with a new found knowledge and interest in Australia’s Lost Creatures.